In Germany, Korfball is still an undervalued sport. The organized competition mode is limited to the regions Westphalia and the Rhineland. Only seven teams play in the first and second Korfball league for the championship. 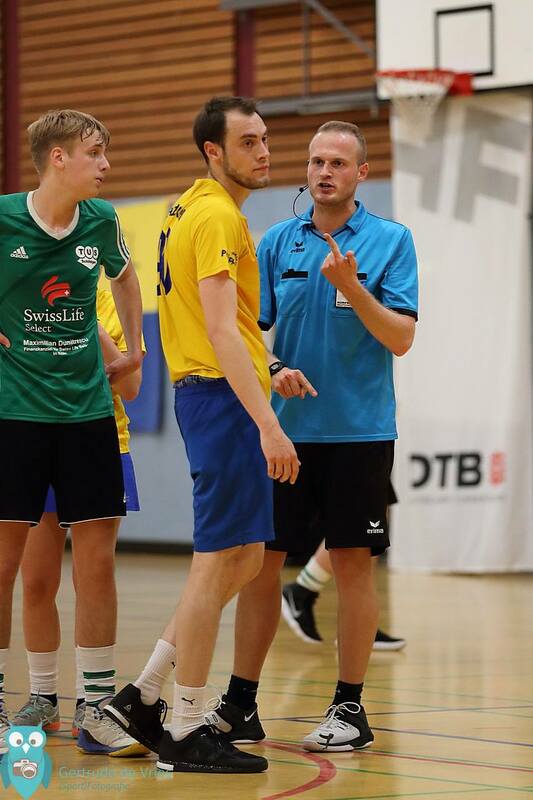 Because the German Korfball players don’t want to miss the international connection it’s important that we always adapt to international standards, both the players and the referees. We refused to take over the Referee-Paging-System because we thought these high costs would be out of all proportion to the benefit. Quite contrary to that was the first use of headsets at IKF tournaments (International Korfball Federation). The league committee of the highest korfball leagues – the DTB Korfball Liga Nord-West – used the opportunity to start a test. First we searched for headset producers in the internet by ourselves, but prices scared us off so the project was put ‘on hold’. Then the German officials got hold of the producer providing headsets with the IKF. That was the time when we first heard of AXIWI. Prices were lower than the other online providers but still above our budget. Anyway we got in touch with Axitour Communication Systems, the supplier of AXIWI, and were persuaded by the item offered. We were ready to invest in the future. Two complete AXIWI systems for Westphalia and Rhineland were ordered. The experiment could start. First we had to persuade the leading referees, who were really doubtful. Anyway they were all ready to test the headsets in the highest German Korfball league. After the testing season all referees were convinced of the fast and direct communication between the referee and assistant: it was helpful and supportive for the games. Because in Korfballgames referees always have to keep an eye on eight players at the same time, constant communication and agreements were possible through using the headsets. And and it becomes more and more important. Referee teams knowing each other, could extend their match leading. New referee teams could get to know each other through using the headsets and help each other. Even for coaching and development, headsets become more important. Also experienced referees working with unexperienced referees have the opportunity to support them and coach them directly in the game with the headsets. The AXIWI communication system is easy-to-use and compact. Referees don’t have to be introduced to the headset because the use of it is very intuitive. Another positive aspects is the high wearing comfort of the headsets. The noise reduction and the filter for the whistle works fantastic. You hardly feel you are wearing them. The matching kit is perfect for a safe transport of your AXIWI equipment. Korfball Germany exclusively uses the AXIWI communication systems and we are planning to add more to the inventory. Last but not least the extremely friendly contact and fast reactions of the supplier, Axitour Communication Systems, to inquiries don’t let us think of any other provider.